Young Mother & Three Baby Girls! This young beauty came to us when her guardian could no longer keep her. She is just a baby herself, and such a good mother! 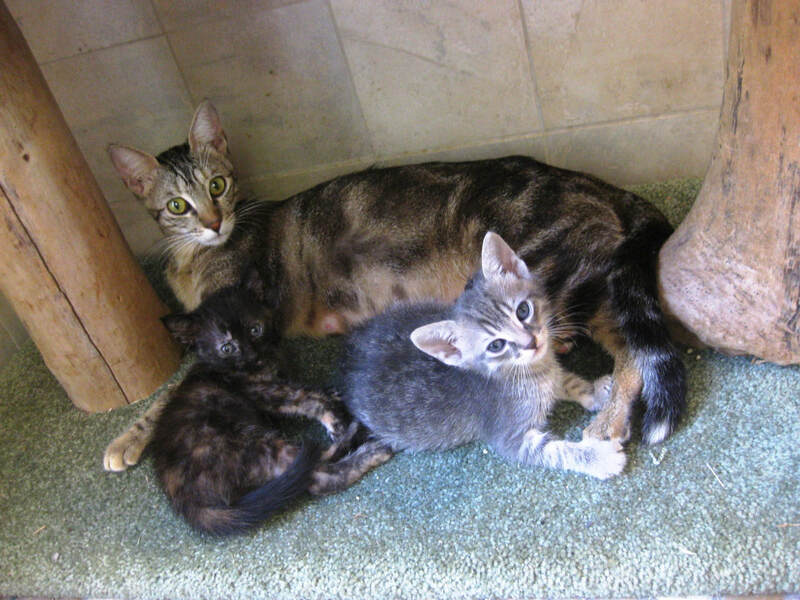 There are three kittens, two tortoise shell and one grey tabby! So two can go to one home, and mother and baby to another...yours, if you're lucky!! Come meet them!